Nuwara Eliya is exploding with beautiful, shimmering waterfalls and to ensure you don’t miss out on a single one, I’ve put together this guide on the 7 best Nuwara Eliya waterfalls you must see this year! Since I love to chase waterfalls, I think I’m equipped for the task. You may even think these are some of the best waterfalls in the world, but you’ll have to visit to confirm it. Ps, there is also a handy map to help you find the waterfalls too! 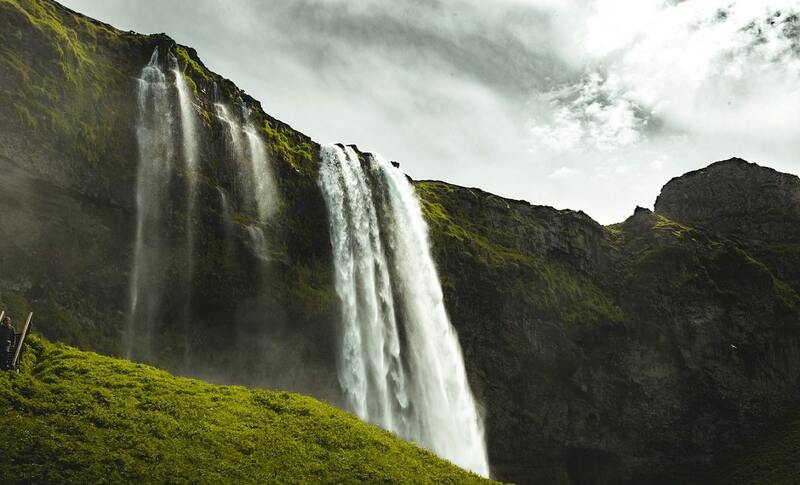 Make sure you visit these waterfalls in the rainy season for peak excitement. Let’s start with the classic. This is probably the most “well known” waterfall in Nuwara Eliya because it’s so easy to access and it has a great story behind it. You’re probably wondering why it’s called lover's leap waterfall, and no it doesn’t mean you can jump in with your loved one. 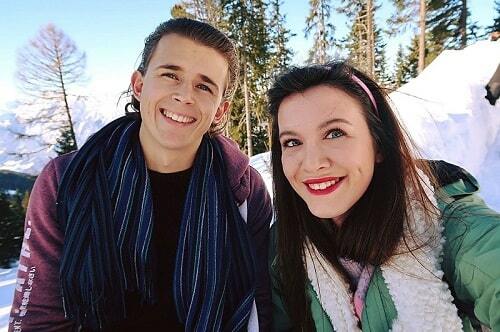 Actually, according to the stories I’ve heard, it was based on a young man and woman who loved each other but their parents didn’t approve. So, in classic Romeo & Juliet style they jump to their deaths of the waterfall together. Anyway, it’s a 30 m drop and to get to Lovers Leap waterfall it requires a small hike of about 30 minutes. But, you’ll be rewarded with sweeping views of the countryside and tea plantations. It’s located 3.5 km from the city centre, so it’s pretty close. Be careful on your hike. It can get pretty slippery! This is one of “see from a distance” type waterfalls, and it’s located in close proximity to Lovers Leap Waterfall. 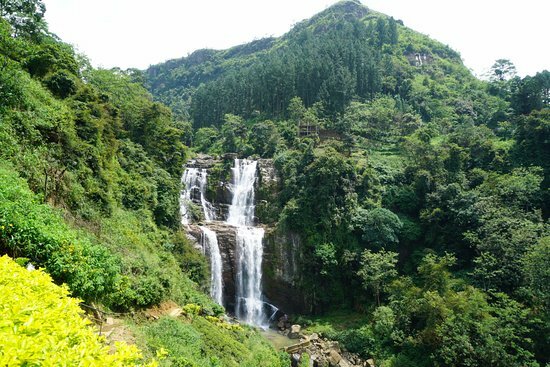 It’s a seasonal waterfall which means it drys up in the dry season, and it’s a waterfall that you can see from the distance when you are in Nuwara Eliya itself. It’s submerged in tea plantations and greenery which makes it pretty cool. This is one of the great Nuwara Eliya waterfalls and it’s quite a big size. It requires around a 3 km hike to reach, so if you like hiking then this is a great choice. I think it’s worth it though, as people say it’s one of the best views, plus you can get up close and cool down with the splashes of cold water. This is one of my favorite Nuwara Eliya waterfalls. It’s extremely beautiful and scenic, and the journey to get there is even better. Lots of people visit this waterfall whilst seeing “devon falls” (more on that after). The route to the waterfalls takes you through lots of amazing tea factories, and one is located in a “castle”. There are various “viewpoints” that are signposted to see St Clair’s fall, however none of them take you that close to it. Bradley and I had our own tuk tuk, so we drove as close as google maps would let us and it took us to a little village. 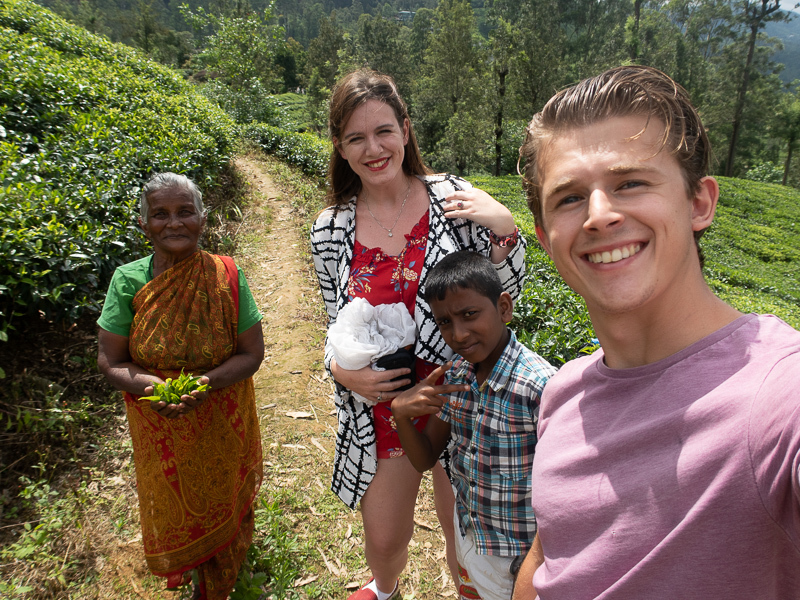 A young boy and grandmother then took us on foot to the closest point of the falls and it was an AMAZING view literally steeped in tea plantations. I loved it! Also, there are a couple of restaurants that offer views of the falls too, and we stopped at this one. The food was delicious, tea was yummy, and the prices were stupidly cheap for the food and high level of service. I highly recommend. 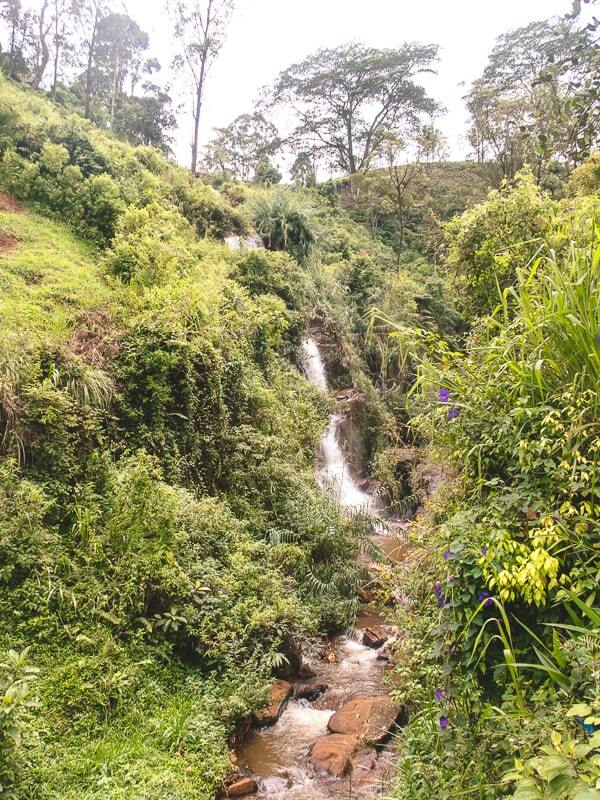 They also offer villas right in the middle of the tea plantations which overlook the falls. If I knew about this place, I would have loved to stay. It looks breathtaking. This striking 97 m waterfall is also one of my favourite Nuwara Eliya waterfalls of all time. It’s close to St Clair’s fall, so you can see them both on your waterfall seeking adventure. It’s commonly known as the “Little Niagara of Sri Lanka". There are various viewpoints for this waterfall too, some of them require a small walk. However, one of the views I recommend is from Tea Castle (which I mentioned earlier), you can go up the castle to the top to see a 360 view of the area, and you can dine outside and see Devon falls in the distance. The tea is delicious and they offer cakes and food too. It’s around 200 for a cup of tea. Less than £1! This is quite a famous Nuwara Eliya waterfall located in the hill country, and it’s often a popular waterfall to stop at if you’re driving from Kandy to Nuwara Eliya. It’s the 11th highest waterfall in Sri Lanka. To reach it you will have to do a little hike, and the hike starts at a restaurant that’s located at the falls. They let you walk through, or you could fuel up. It’s a 50 R entrance to the viewing point, but since it offers a breathtaking view, it’s worth the 25 pence. (yes, there was a hint of sarcasm). This waterfall is named after the 3rd largest city in Scotland, yes you guess it: Aberdeen! It’s a 98m height fall that offers stunning views and a pool! 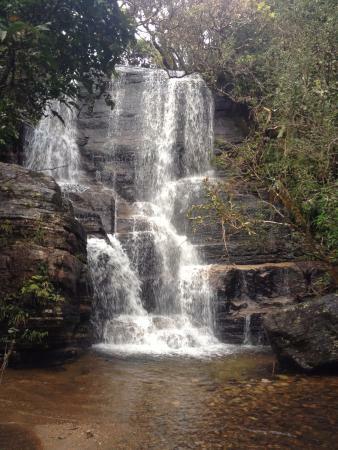 This is one of the best waterfalls in Nuwara Eliya because you have the opportunity to swim. There are also forests and hills surrounding the waterfall which can turn your adventure into a hike or stroll. 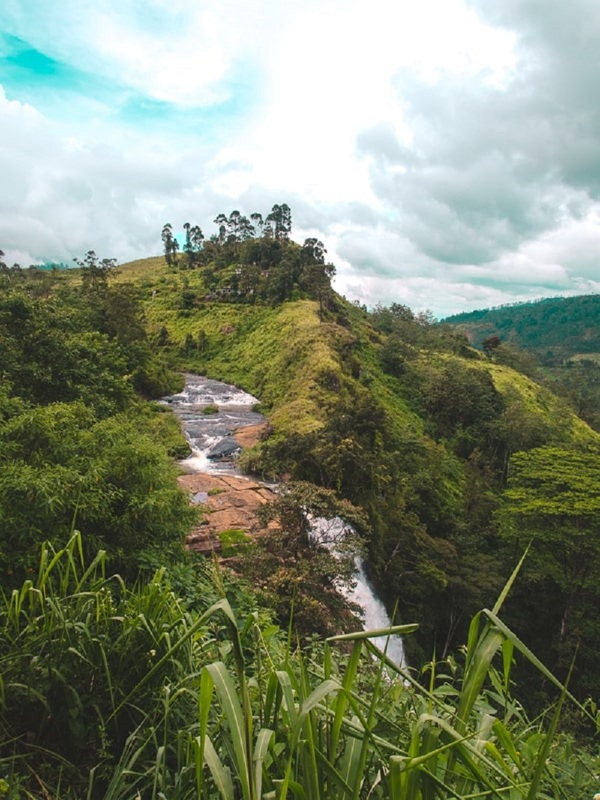 Bonus tip: One of the great waterfalls near Nuwara Eliya is located in Hortons National Park, so if you’re visiting the park to hike to World’s End, then you’ll loop past this waterfall on this trip. It’s a scenic waterfall and very picturesque. It’s located around 30 km from the town of Nuwara Eliya. The best way to reach this waterfalls in general is via tuk tuk or moped. The further out waterfalls such as St Clairs and Devon falls could be reached by bus. 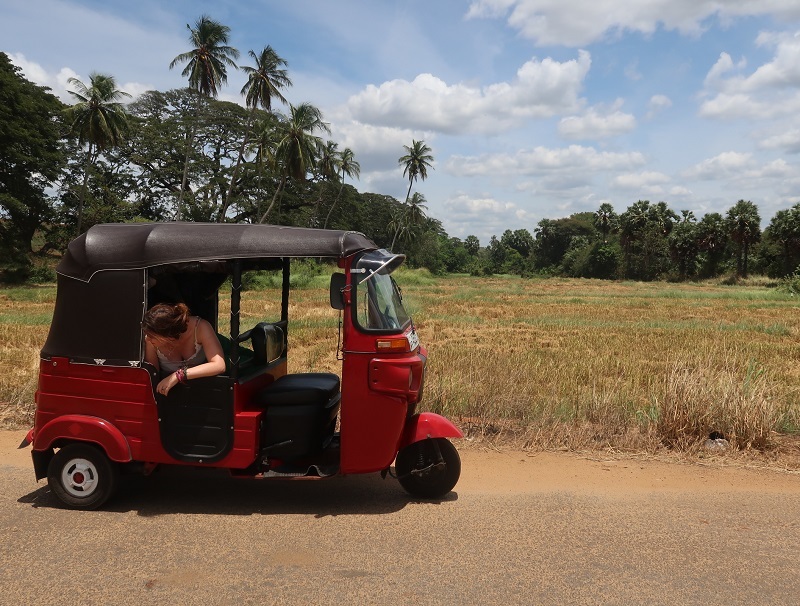 You can opt to rent out a moped, or hire a tuk tuk driver for the day. It won’t be expensive and if you’ve got three people, it’ll be even cheaper. OR, you could do what Brad and I did and rent a tuk tuk from Colombo and drive it all around Sri Lanka, including Nuwara Eliya and it’s awesome waterfalls. If you need some help in renting a scooter in Nuwara Eliya, then check out this place for more information. Nuwara Eliya is bursting with amazing accommodation options. From bungalows, to apartments, to hotels, there is something to suit everyone. Thankfully, I’ve made a list of the top 9 hotels in Nuwara Eliya, so you can check out that list and see if you’re inspired. I would maybe recommend staying out near Clair’s falls (in those amazing villas I mentioned, because then you can tell me what they were like! ), and then heading into Nuwara Eliya for 2 nights. These are only a handful of the amazing stuff to do in Nuwara Eliya, but you can find out more by checking out this awesome guide we wrote on best things to do in Nuwara Eliya. 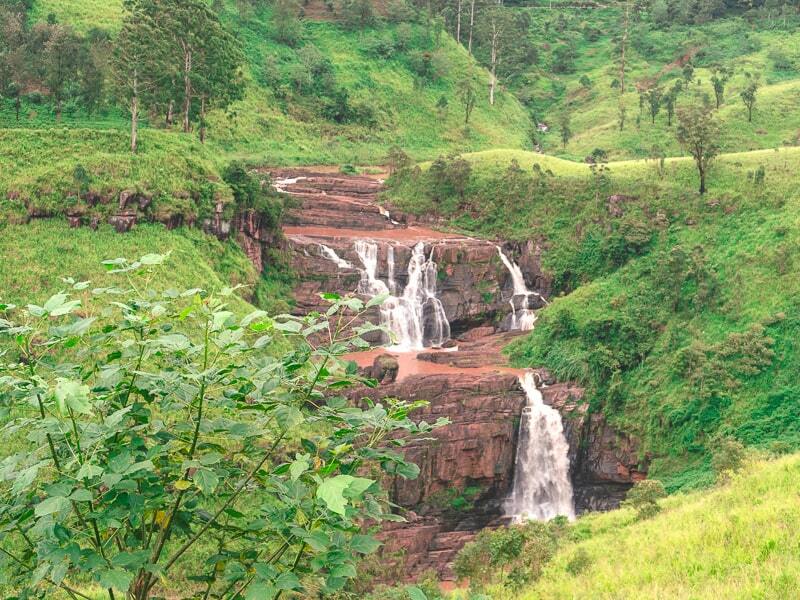 Don’t forget to use our nuwara eliya waterfalls map to help plan your nuwara eliya waterfall tour. ‍So there you have it, my guide to the best waterfalls in Nuwara Eliya. It’s truly a wonderful place and there are lot of waterfalls to visit. On your adventures you may even discover more waterfalls, and if you do, then comment below and tell me about them! 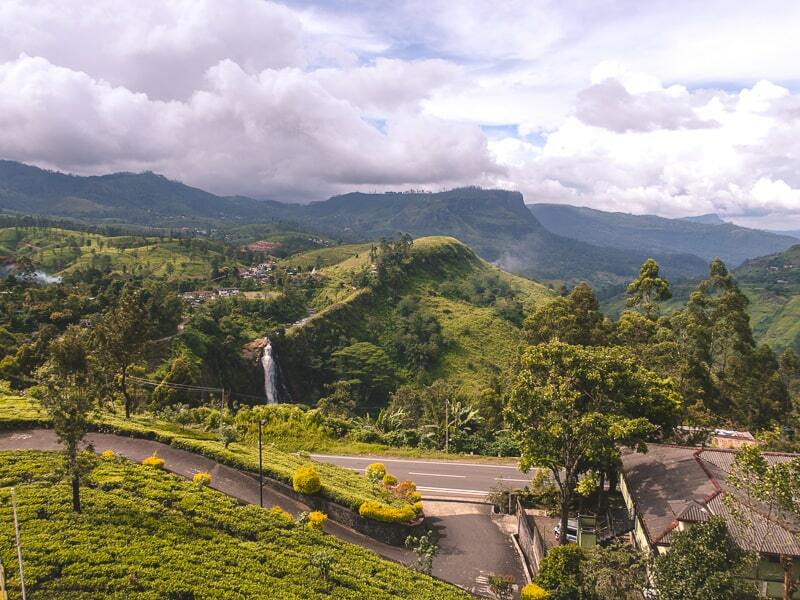 Heading to Ella after your trip to Nuwara Eliya? Then check out our guide on the best places to visit in Ella! Backpacking Sri Lanka: A Ridiculously In-depth Guide!